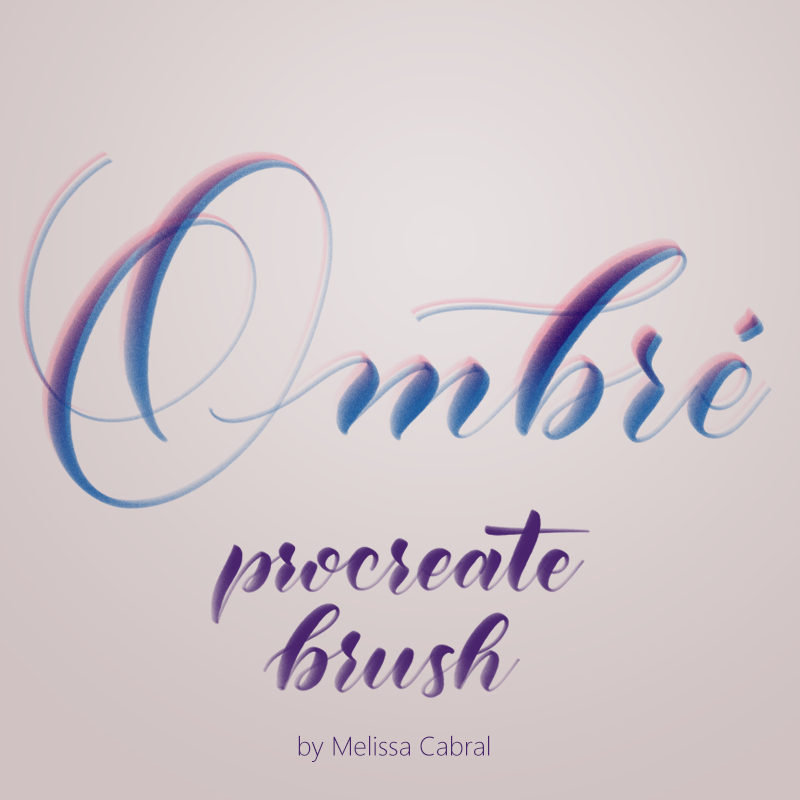 A subtle textured calligraphic brush with a built-in shading designed for the Procreate App and the Apple Pencil. It has a hand-drawn tip shape, so you won’t find another out there quite like it. Enjoy! The brush tip shape follows the direction of the pencil, so hold your pencil perpendicular to your strokes. If you’re having trouble, check out my video tutorial on installing from gumroad. Thanks for trying my Ombre Calligraphy brush! If you make something cool with it, I’d love to see it – Tag @puchi_melissa on Instagram.